Best recognized by the four rings of its logo, Audi enjoys a history reaching back to the early 20th century. The company’s logo represents the four car companies that once merged to form Auto Union, which eventually became Audi. 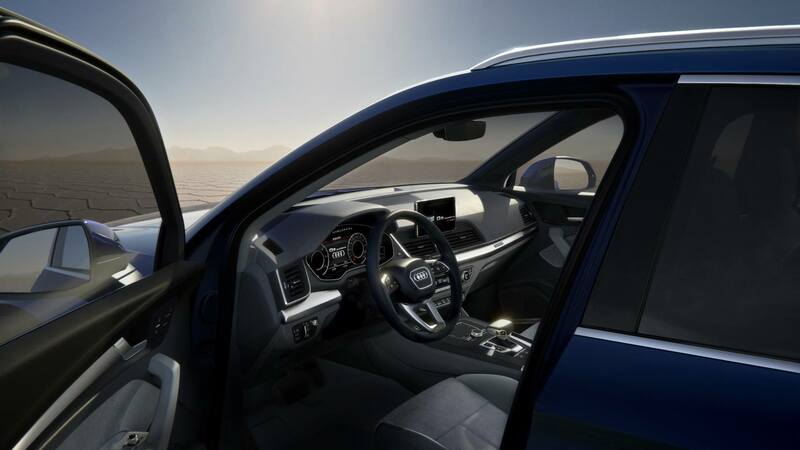 The company is currently offering three models of luxury SUV, the Q3, Q5, and the Q7. 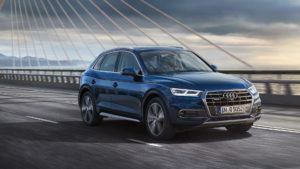 The Q5 is a compact SUV offering all the expected styling cues of a vehicle intended for the premium category. Winning an award is always a good thing. To win two is a remarkable achievement. 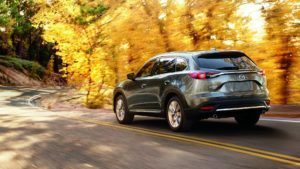 The recipient of the Automobile Journalists Association of Canada’s 2018 award as the Best Large SUV in Canada, and inclusion on Car and Driver magazine’s 10 Ten Best Trucks and SUVS for 2018, confirms the Mazda CX-9 is something special. 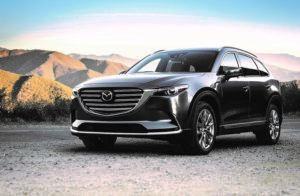 The result of Mazda’s obsessive quest to create vehicles that surpass expectations, the CX-9 is a stylish and innovative vehicle that will change perceptions in this segment. Until now, the purchase of a luxury SUV inevitably led to established European brands. The Mazda CX-9 challenges this thinking. Read on and find out why the Mazda badge is the ascending sign of achievement. The Audi Q5 is a compact SUV that is pleasant to the point of anonymity. Featuring styling cues found across the Audi range, the Q5 is completely inoffensive, which may be an issue the first time you lose it in a parking lot. There isn’t anything on offer to set it apart from the plethora of competing models in the marketplace. There’s likely a good reason why Audi doesn’t offer the Q5 in beige. Mazda’s KODO “Soul of Motion” design reflects shapes and forms found in nature. Influenced by the motion of wind or water, KODO design balances the tension between power and sophisticated beauty, and influences the styling of all Mazda vehicles. 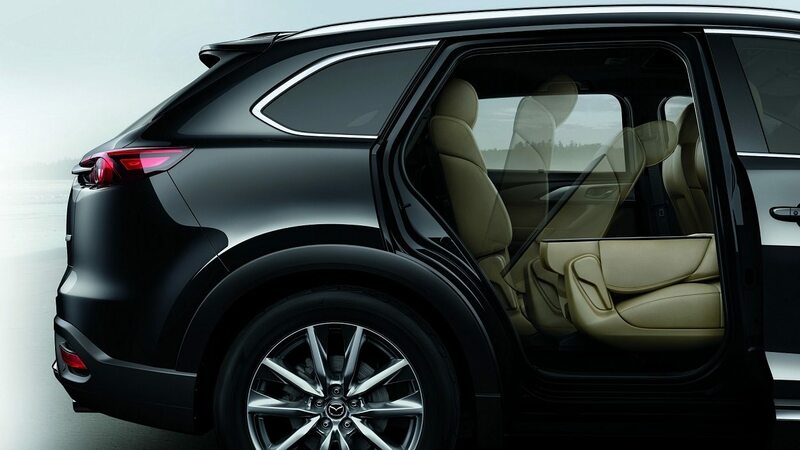 The CX-9 carries itself with a quiet and confident elegance, with a hint of athleticism that suggests a sporting side. There are fascinating features to be found around the CX-9, each having been carefully considered. From its striking grill fronting a long hood, which assuredly suggests the reserves of power available, through its tasteful and considered hatch, the CX-9 reflects the time and passion placed into its creation. 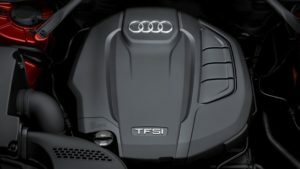 The Audi Q5 is fitted with a 2.0 L TFSI Quattro Technik S engine. This engine produces 252 horsepower at @ 5000- 6000 rpm, and 273 lb. ft. of torque at 1600 – 4500 rpm. Requiring Premium Fuel the Q5 is expected to return fuel economy of City/Highway 10.4/100km and 8.6/100 km respectively. A 7- speed S tronic automatic is the only transmission choice. Keeping with the theme of inoffensive, the engine has been described as “nice.” The turbo-charged engine is smooth and energetic enough to meet expectations. This is all perfectly acceptable. It just doesn’t set itself apart in the manner expected of a contender in this end of the market. When first considering what the CX-9 would become, Mazda engineers began by reconsidering how many of us drive. With the majority of drivers rarely accelerating beyond 3,000 rpm, an engine that provided exceptional performance where it would be useful formed the design brief. 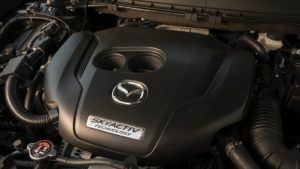 The SKYACTIV-G 2.5 L, Direct-injection, Turbo-charged engine is the result of this innovative thinking. Recently redesigned, the interior of the Q5 follows contemporary Audi corporate thinking. The cabin is refreshingly uncomplicated, leaning towards a near-minimalist design ethos. As expected, the cabin is trimmed in quality materials that provide a sense of calm. Most will find themselves comfortably accommodated by the firm and well-padded front seats. 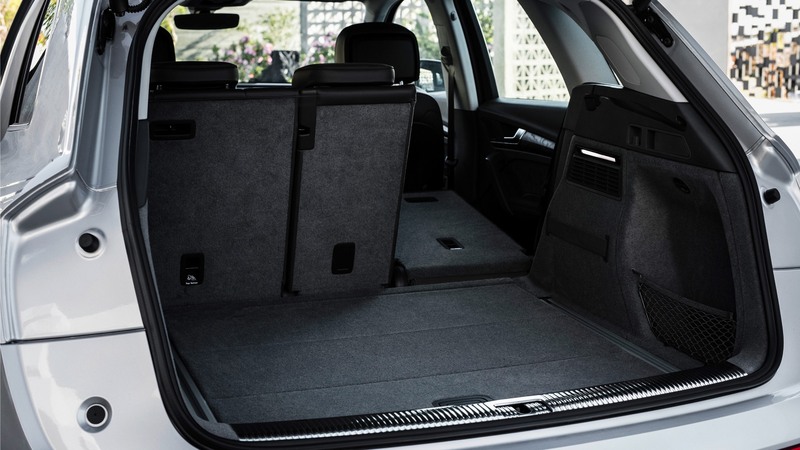 The rear seat is easy to access, with ample headroom available. Should extra space be required, the seatbacks can be reclined. 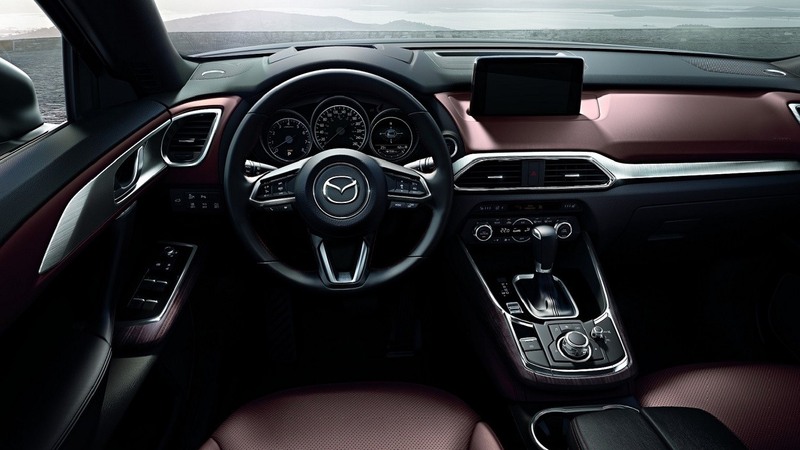 Mazda enjoys a deserved reputation for finishing their interiors in quality materials that once would have been expected in the near luxury market. 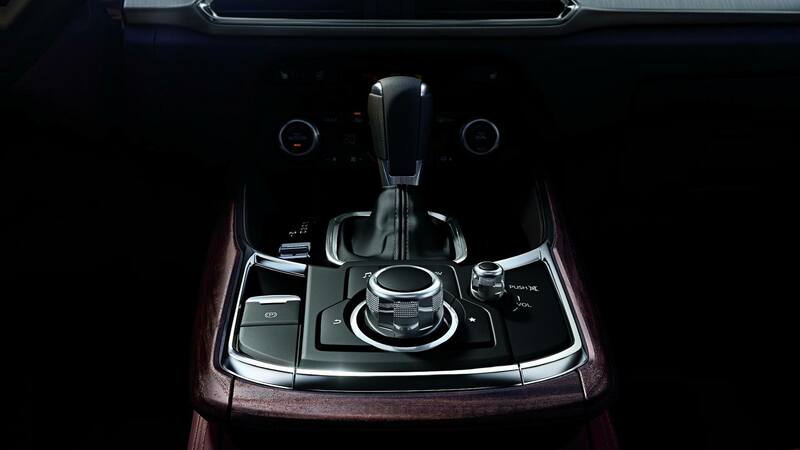 The CX-9 takes this thinking to a new level of detail. The KODO design ethos is reflected throughout the cabin. After careful consideration, Nappa leather was selected for its tactile feel, with its unique auburn colour providing an elegant note of colour to cabin. Available rosewood and aluminum trim provide visual interest, and add another dimension of calm to the space. Generous legroom and scalloped seats complete the interior, helping to make a long journey a pleasant and enjoyable proposition. 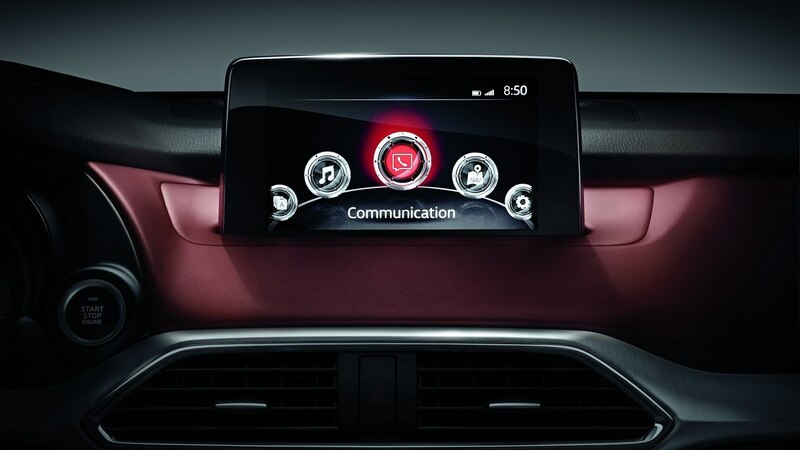 While the interior is comfortable, Mazda’s Human-Machine Interface (HMI) is designed to provide optimum space and easy access to all the controls, enhancing the driver’s ability to concentrate on driving. The Q5 is tuned to provide a predictable and controlled ride, rather than leaning towards the firmer and sportier side of the spectrum. 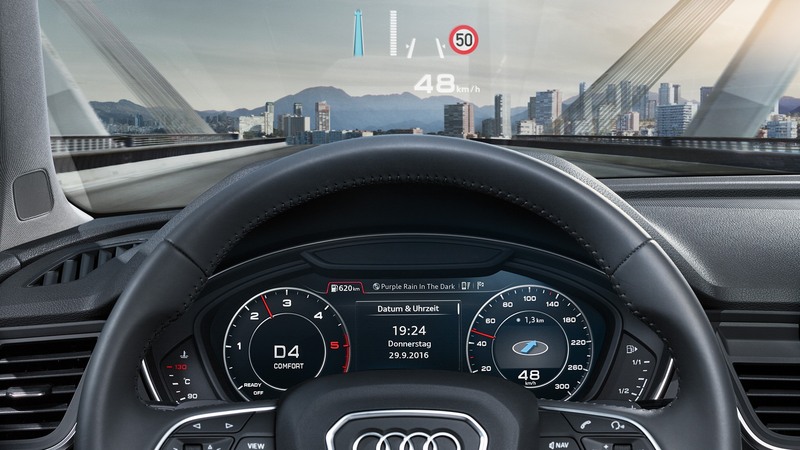 The electrically assisted steering has been criticized as being “utterly devoid of feel” (Car and Driver June 2017) which is surprising in a vehicle marketed by the company that references Vorsprung durch Technik (progress through technology) in its advertising. Considered together, the ride and steering seem at odds with the persona Audi has crafted for the Q5. “Driving Matters.” Mazda believes every one of its vehicles should engage and delight when driven. The CX-9 offers all the practicality expected of a vehicle of this type, and yet still provides an surprising dose of driving enjoyment. The CX-9 offers a smooth yet controlled ride, providing a driving experience that is far removed from that of a typical three-row SUV/Crossover. SKYACTIV-Vehicle Dynamics, i-ACTIV All-Wheel Drive, and i-ACTIVSENSE safety features, combine seamlessly to provide the driver with every advantage when driving. For those who need the advantages of an SUV, it’s now possible to enjoy a winding road to nowhere. 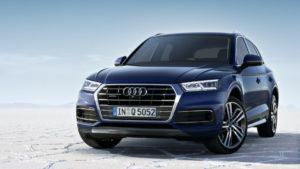 While the Audi Q5 looks promising at first glance, the overall design are fairly typical. With average looks, and driving manners that are notably removed from the sporting spectrum, the Audi seems a compromised choice. The Mazda CX-9 is worthy of direct comparison with models from any of the luxury brands, from Audi to Range Rover. The lines of the CX-9 will be the first thing noticed, but as we’ve come to appreciate, true beauty is always more than skin deep. Sophisticated and innovative engineering, combined with advanced driver aides and safety systems result in a vehicle that will challenge the world’s best. Starting at $38,395 and increasing incrementally for the superlative Signature edition, the CX-9 represents a new way to consider the traditional luxury car. Contact Pacific Mazda for an appointment to appreciate the 2018 CX-9.